As February arrives, and the winter becomes milder and the sun becomes more pleasant, the air is ripe with romance. You can literally smell the love in the air. And why not? After all, it's time to bring in Valentine's Day on February 14th. It is what makes this month of February, the month of love. A time to express your true amore to a person that's closest to you. And if you want to evoke the true emotion of love, then a scent or perfume becomes the most powerful way to do it. That's why fragrances are the perfect finishing touch for a romantic rendezvous with your loved one. Launched last year during Valentine's, Ajmal "Perfumes of Passion" are a veritable ode to love. At Ajmal, we believe that a fragrance is not just the creation of a scent, but the crafting of a memory. And what better memory can one craft than when one spends time with the one you love? Which is why, our "Perfumes of Passion" are crafted with a touch of passion, a hint of intimacy and the sizzle of love. And they make for the most perfect way to celebrate your love and your togetherness. Indeed, you can think of them as being Cupid in a bottle, with his arrows of love being their essences within. Two stunning Valentine's Day creations. To mark Valentine's Day 2018, Ajmal has introduced two of the most enchanting new "Perfumes of Passion" for Him and Her. Both are 14ml e Eau de Parfums that have been inspired by the romance of fresh notes. 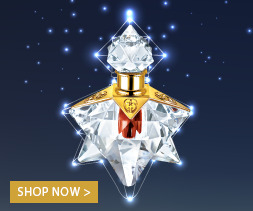 This year's "Perfumes of Passion" for Him is a brilliant fragrance infused with Fruity Citrus Fresh top notes, redolent with a Floral heart and rested on a passionate Woody Musky base. It's just the thing to gift to the man who's the apple of your eye. And when it comes to the new "Perfumes of Passion" for Her; this bursts at the top with Spicy Fresh Fruity notes, from which emerges a heart of Floral ecstasy, leading to a nuanced and delectable base of Floral Woody Powdery. So if you have a woman in your life who takes your breath away, this is just the fragrance to leave her breathless. Now exclusively available online. With Free Delivery. We're also offering Free Delivery on all your online purchases of our "Perfumes of Passion" to make your love doubly sweet. But do rush. 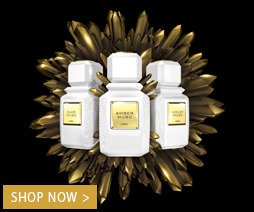 We have Limited Stocks available to make sure you visit shop.ajmalperfume.com now – in fact the best way to ensure they reach you or your loved ones on time is to Pre-order your exclusive gift set right away. 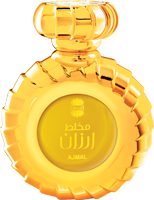 Ajmal "Perfumes of Passion". As the name goes, these are essences imbued with love, imbibed with the strongest passion. Come, it's time to show yours with them!